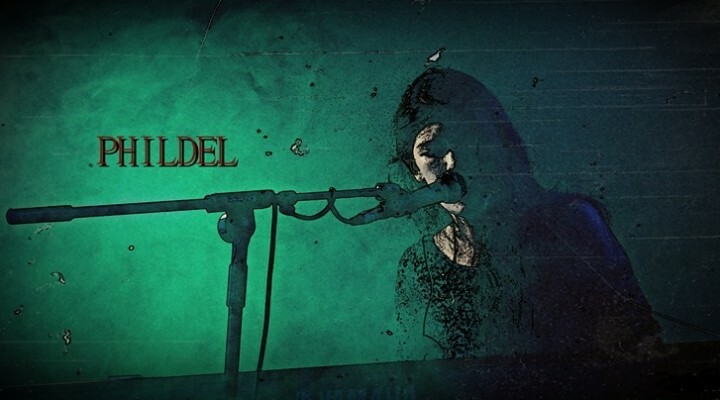 Phildel :: Singer / songwriter based in London UK. Some exciting news for us and ‘PHILDEL’ fans alike. Recently she announced her first album ‘Qi’ is set for Re-release, revamped and re-worked (now available 🙂 link below). “As some of you may know – besides songs, I also compose piano-lead, instrumental music. I’ll be releasing an updated version of my instrumental album “Qi” in the coming days! For those of you who bought “Qi” previously – please note a couple of the tracks have been replaced with entirely new compositions and if you would like the brand new additional tracks – you’ll be able to purchase those individually from iTunes. The original album ‘Qi’ contained 5 tracks with a beautiful arrangement of strings and keys, some layered with choir-like backing vocals; softly blended together giving that extra dimension that’s always present in all of Phildel’s music. Imagine listening to music and having that feeling you’ve just watched a movie that makes you go wow. Each of Phildel’s beautifully crafted tracks bring forth feelings and imagery of heavenly sometimes gothic-type, evoked from somewhere deep within. These are dynamics that are always found in each of her compositions. ‘Qi’ was originally released in 2010 at the early stages of her career & very limited copies were available at the time. So you can imagine how happy we are to hear the news of a re-release. The anticipated debut album ‘The Disappearance Of The Girl’ was released 2013. Soon after there was quite a stir within the media, the album hit the number 1 spot as best-selling album in the ‘Folk Singer-Songwriters’ Amazon UK chart. Tracks from the album gained airplay on countless radio stations including BBC Radio 1. The album enabled Phildel and her imagination to come to life in a very unique way. “The way I create my music is by going back into that world of my imagination and creating things inspired by that” (Phildel). Then came ‘The Glass Ghost‘ follow up EP release. ‘The Glass Ghost‘ This time she embarked on a modern upbeat approach. The EP also included a remix of the track ‘Comfort Me‘ by ‘Delerium‘. As with all of Phildel’s work her harmonious vocals resonates throughout the whole production in-keeping with her signature sound & the gentle voice she is known for. If you’re already a fan of Phildel, you know ‘Qi’ will bring us many more hours of listening pleasure and as with all of her music it’s going to be very emotional & exciting times. This entry was posted in Introducing, Reviews and tagged Dominae, Dragonfly Keeper, icarus, Phildel, Qi, The Kiss. Bookmark the permalink.